Today’s competitive business scenario demands advanced solutions to achieve sales targets and improving customer-centric services. There, thriving mobility technology lends a helping hand. You can give your business advantage of SAP Business One mobility solution and manage all the processes on the move. 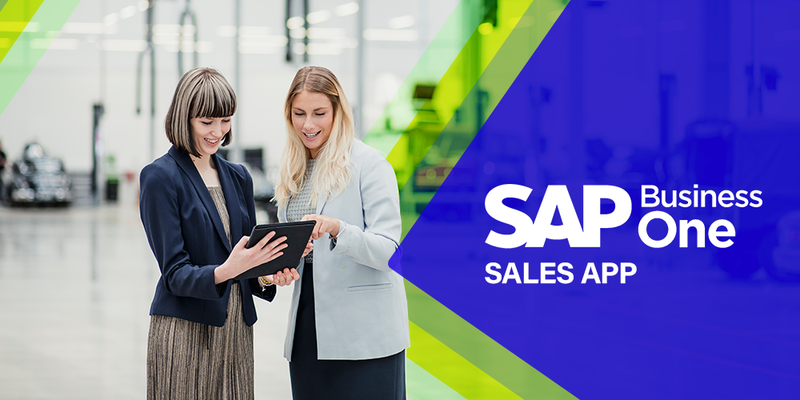 Let’s discuss how SAP Business One software offers a solution to track and manage sales. SAP Business One is a globally acclaimed business management software, specially designed for SMEs. It can automate the key business processes in the domains of financials, operations, sales, and human resources. It has launched a sales-specific app known as SAP Business One Sales app for Android and iOS platforms. It empowers the sales team with quick and direct access to key business information. Let’s go through its major features, top benefits, and basic requirements. 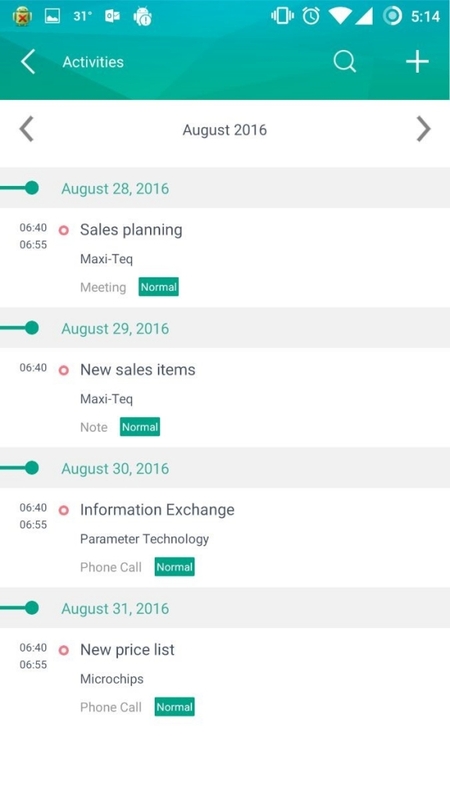 The user can readily view, add, edit, close, and create follow-up activities related to the sales department with this feature. It gives the user complete control over various business activities. 2. Customer Data Management This feature makes it easy for business persons to access and manage the customer’s information. It shows the historical activities and special prices for the customers along with the basic details like addresses and contact numbers. The users can also add new customers and locate partners with the help of this feature. Inventory plays a vital role in managing the supply chain. 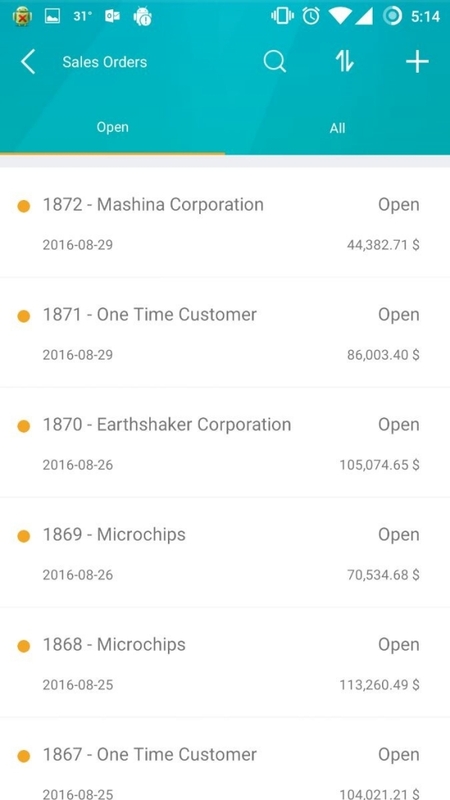 This feature of SAP Business One mobile application is useful for various departments of your business. 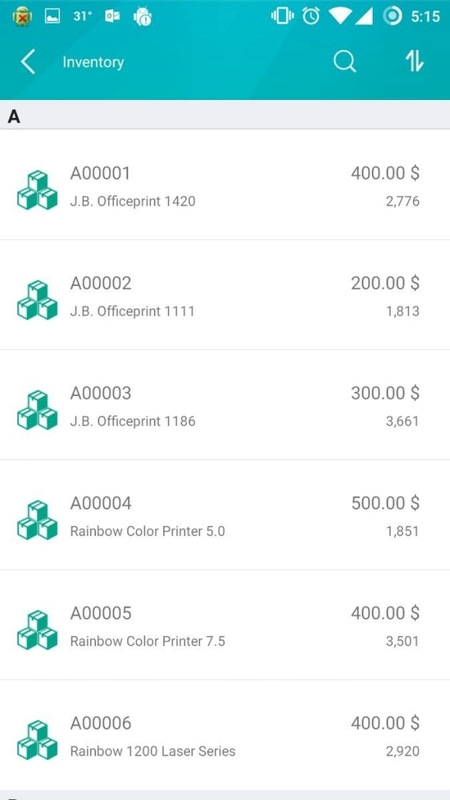 It enables users to monitor inventory levels. You can get detailed information about your products including their available stock, sales price, and product specifications. This is one of the most useful features for the sales department. You can readily create, view, search, and update sales quotations and sales orders. Also, it is easy to manage the activities relate to these sales documents. 5. Opportunities Management Another vital feature of SAP Business One Sales mobile app is the management of sales opportunities. The users can create, search, and view sales opportunities. Also, this feature enables users to add and edit various stages of sales opportunities. 6. KPI Display It shows predefined KPIs like sales analysis and recommendations on the dashboard. 7. Attachments It helps the sales persons view, upload, and download attachments on the move. The sales personnel can show the customers photos and other related information with this feature. What’s more, it makes easy for them to attach photos or screenshots related to activities, sales opportunities, and documents. The SAP Business One Sales mobile app can enable your sales team to effectively pitch the customers. It assists the sales persons through the following ways. 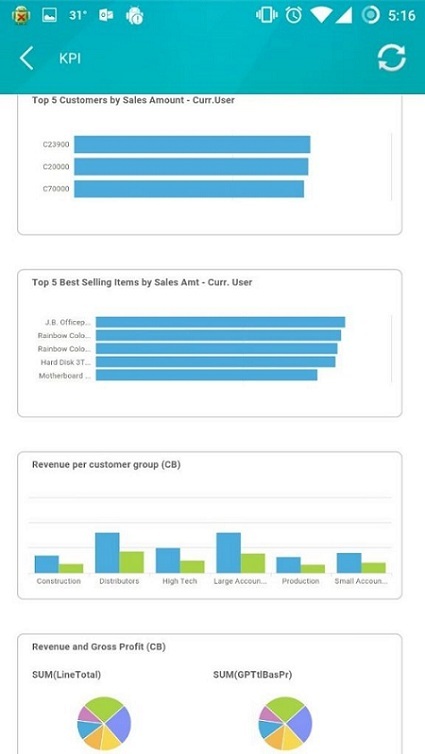 Key requirements to use SAP Business One Sales App for iOS and Android The SAP Business One Sales app can seamlessly run on SAP Business One 9.2 version for SAP HANA or higher. You also need either a professional or limited license to use this app. Silver Touch UK provides an end-to-end solution for SAP Business One Sales App starts from installing, configuring and training. Silver Touch Technologies is an eminent SAP Business One partner. With having over 25 years of experience in assisting the businesses to leverage the benefits of technology, we house a team of SAP certified consultants. Contact us at info@sivertouchtech.co.uk to know how SAP Business One sales app can benefit your business by managing the customer’s data, sales documents, and opportunities.